A clone is a bootable backup of your Mac’s hard drive that provides redundancy for both your data and the Macintosh Operating System. You can keep backup in various form like Image, Clone etc..If you face system crash or data loss situation, clones provide a way to rollback your Mac OS X installation. When you create clone, the size of destination drive should be larger or equal. The cloning process erases the destination drive, copies all files from the source drive, then makes the clone drive bootable. You can use an internal or external drive for the clone. Intel Macs can boot from external FireWire or USB drives. There are a number of utilities you can use to clone your Mac’s drive. One of the oldest and most popular are or Stellar Drive Clone. 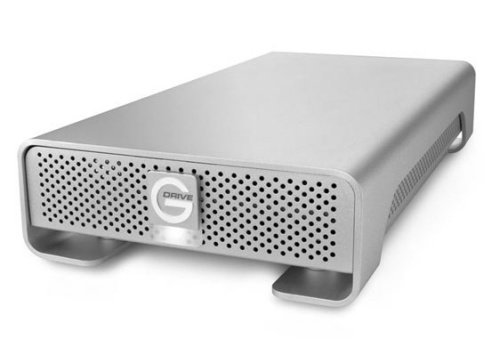 Stellar Drive Clone offers Mac users the safest means to clone your Mac hard drive by using several advanced and highly reliable mechanisms through which your data remain protected. The software allows cloning the entire Mac hard drive to a different drive or a particular volume to another volume, folder, or network drive. You can create an exact sector-by-sector image of your Mac hard drive or any specific volume on the drive and save this image at any desired location. 1. Creates an exact, identical replica of your Mac Disk to another Disk/Volume. 2. Clones drives formatted with MBR (Master Boot Record) partition map scheme. 3. Supports Solid-state drives and exFAT-formatted drives. 4. Clones your volume to another volume, folder, or a network drive. Many people love to keep backup with Time Machine. Time Machine archive is not bootable but contains multiple versions of your files. I use both methods on my Mac Pro with multiple internal drives. One drive is my boot disk, the second is a clone that gets daily incremental updates, and the third contains my Time Machine data. 1. Backup is not bootable: Even though Time Machine backs up every file on your disk but if your internal HD fails, you can’t boot directly from your Time Machine backups. 2. It doesn’t keep data forever: Time Machine doesn’t keep its copies of changed/deleted items forever, and you’re usually not notified when it deletes them. 4. Doesn’t compress files: It doesn’t store duplicate copies of files, so it doesn’t compress Mac files. Guest article written by: Jyoti Kumari is a Mac user and believes in making life better with latest and useful technology in Mac. Want to share ideas and research on Mac utilities to Mac drive clone and optimize Mac drive.